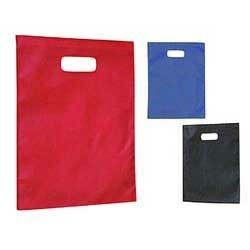 These D Cut Carry Bags are crafted from the finest range of fabrics, obtained from the reliable Vendors of the industry. The entire assortment of these D Cut Carry Bags is manufactured by incorporating latest technology and advanced machinery & equipment. Our professionals ensure to manufacture the entire array of these D Cut Carry Bags in strict adherence with the industry standards and norms as per the ever changing market trends.